Happy first birthday to Buster! 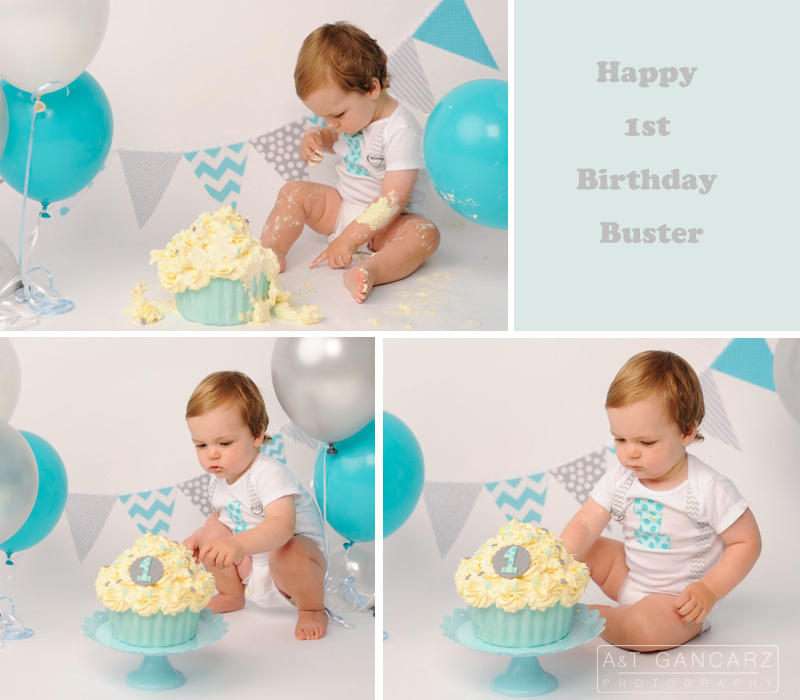 We have been photographing sweet baby Buster since he was a newborn and we can’t believe a year has gone by so quickly and he is already celebrating his first birthday! 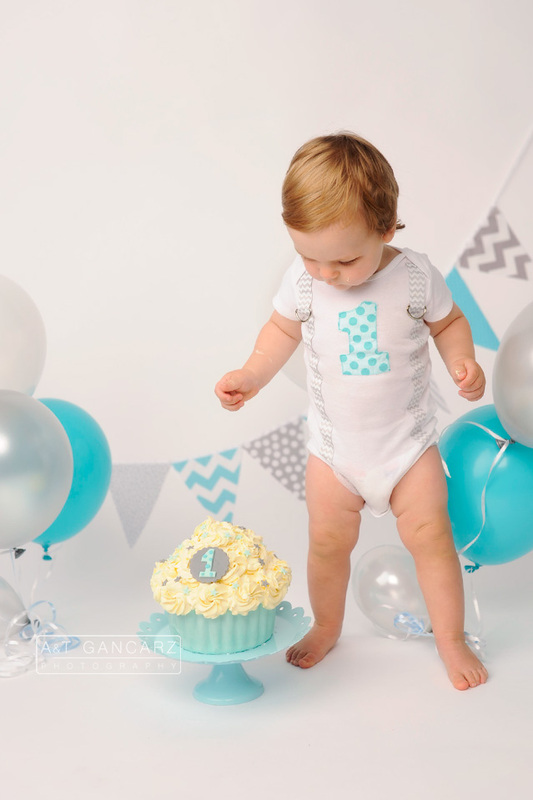 Thanks again to his mum and dad for choosing us to capture their cute little boy! 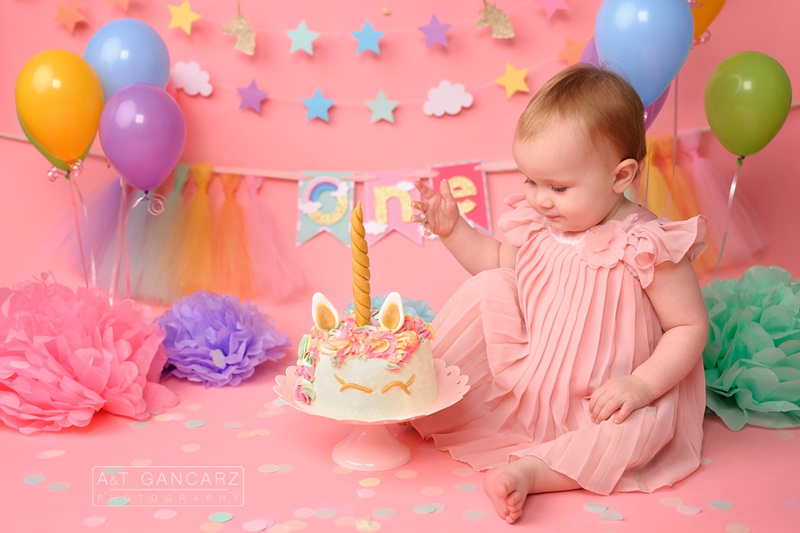 We would like to say THANK YOU to all our clients for choosing Cutebaby Photography/ ATGancarz Photography and trusting us with their most precious thing in their life! 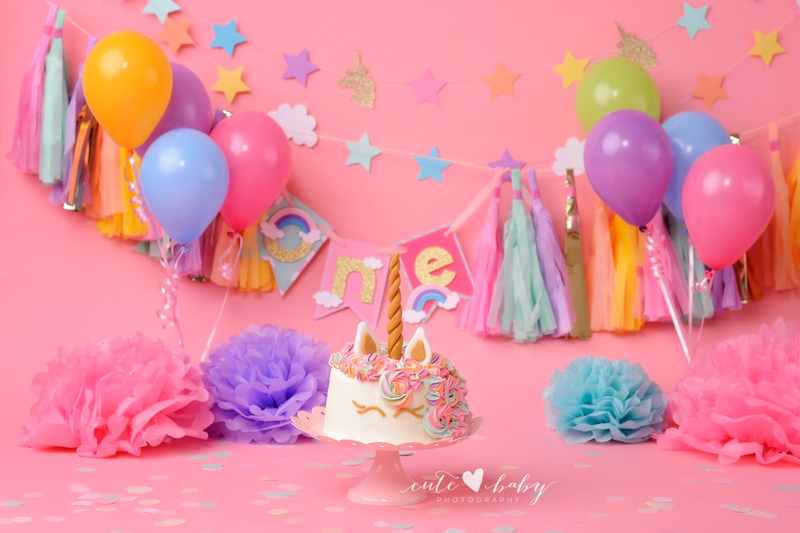 Take a peek into this gorgeous Unicorn session! 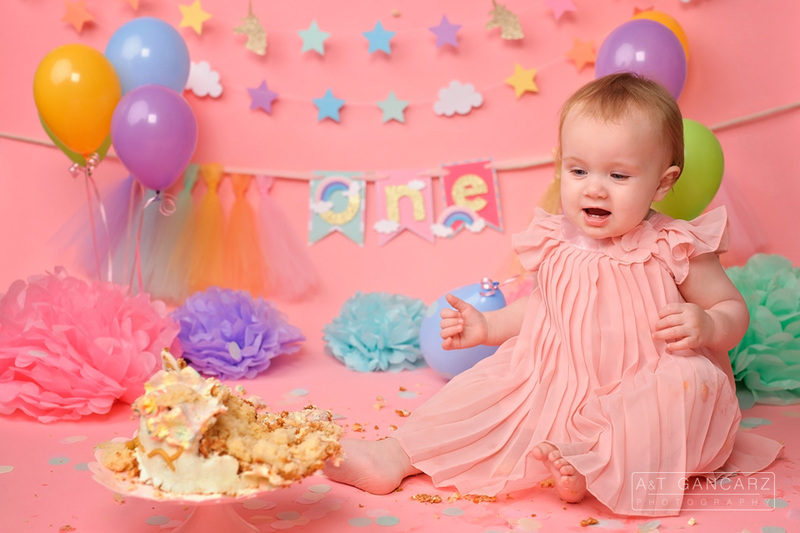 Sweet baby Lexie visited us for a cake smash session to celebrate her big ONE year milestone! 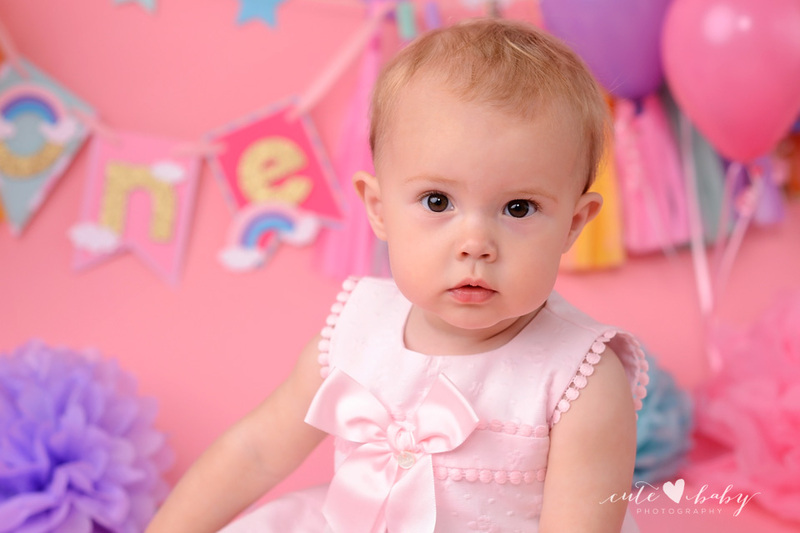 Baby Lexie is an absolutely adorable little girl. 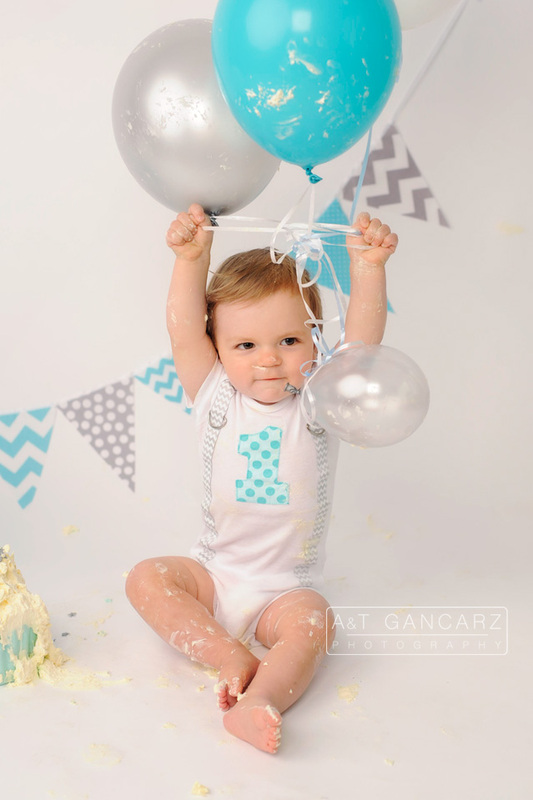 It was such a fun time during our sessions and we hope to see you all again soon in the near future! 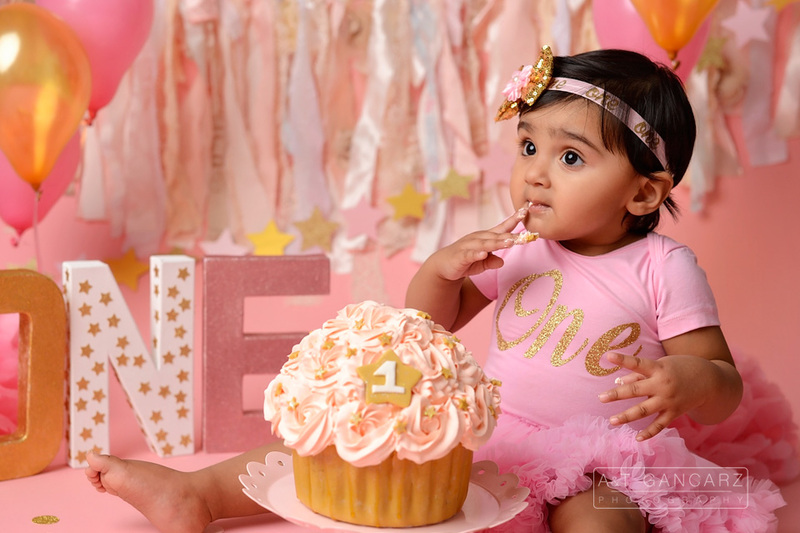 Happy 1st Birthday Little Princess! 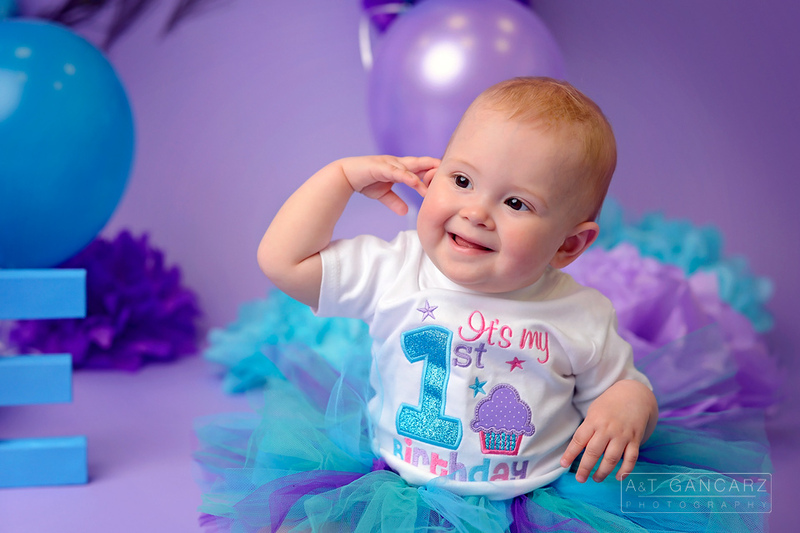 Have you booked your baby’s ONE YEAR session yet? 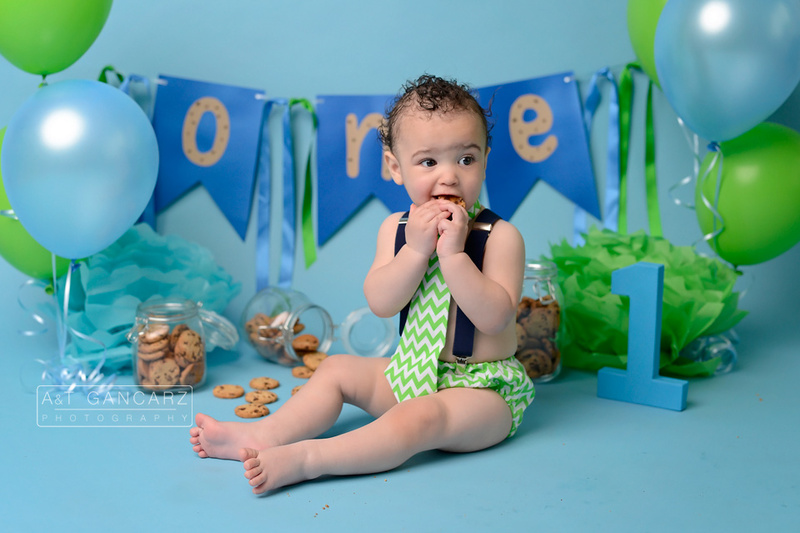 It’s never to early to plan ahead, book your One Year Session with us now to secure a spot on our calendar. Time flies and those babies grow so quick! 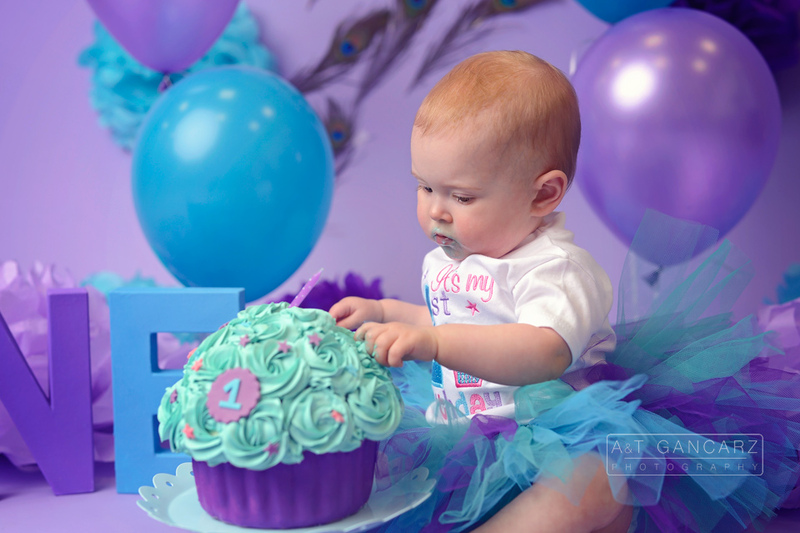 It was fantastic to see Willow again to celebrate her First Birthday! 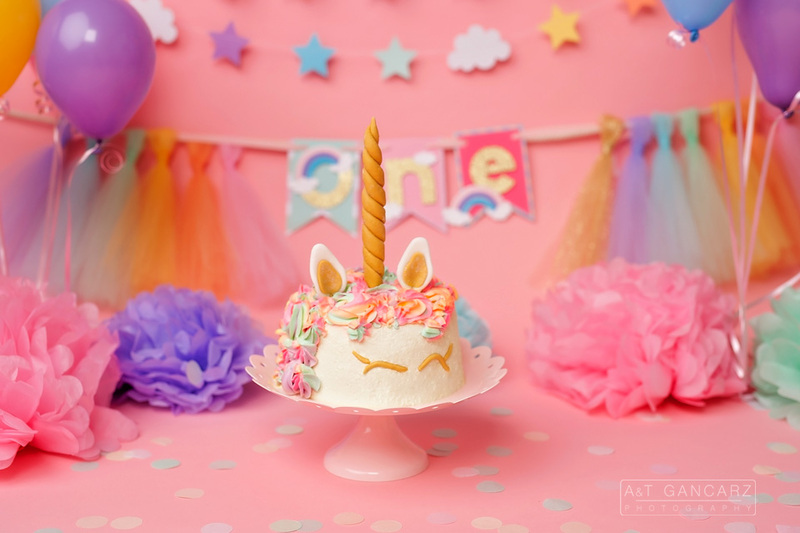 We photographed her newborn session and it was amazing to see how much she has grown since then.We just loved everything about this first birthday cake smash – the unicorn cake, the rainbow colours, the background…everything came together for a fabulous session! 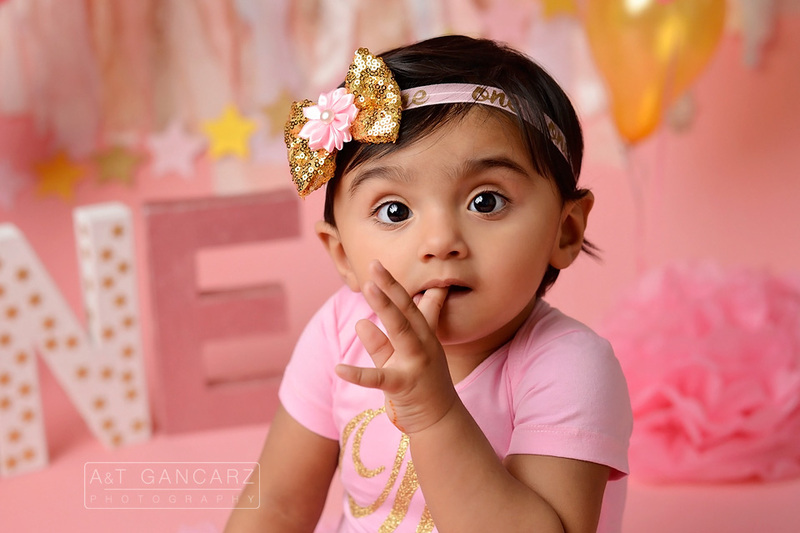 We don’t need any words to describe this cuteness that you can see for yourself! 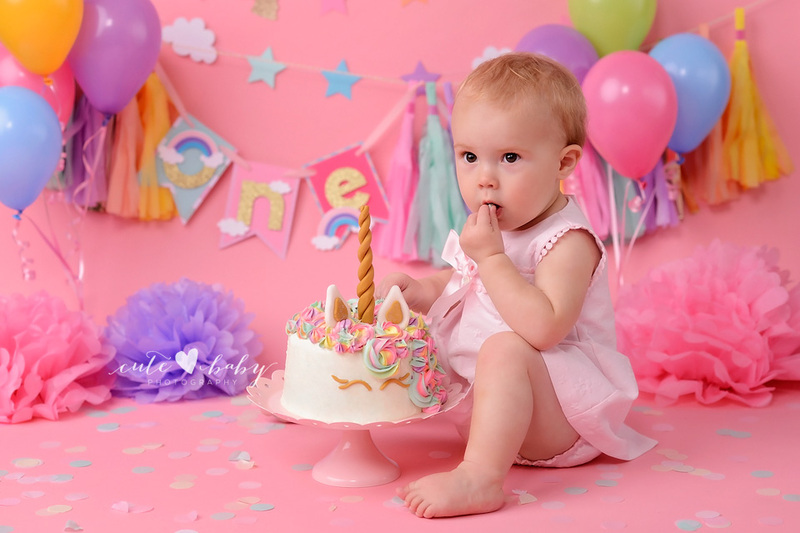 These images are so adorable and timeless. 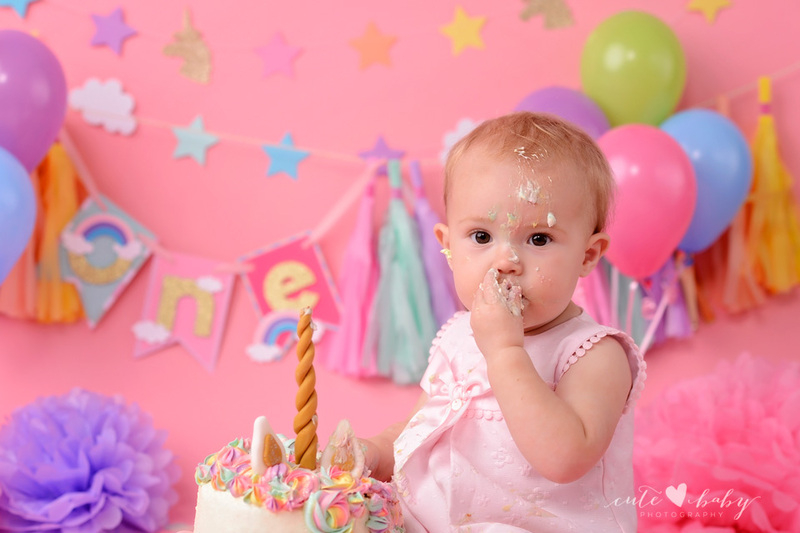 We look forward to creating special memories for you and your family. 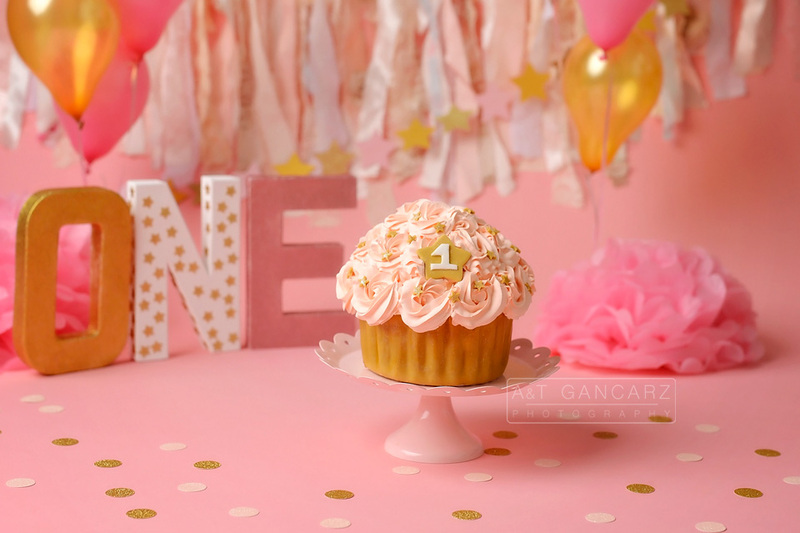 Take a peek into this gorgeous Pink and Gold session! 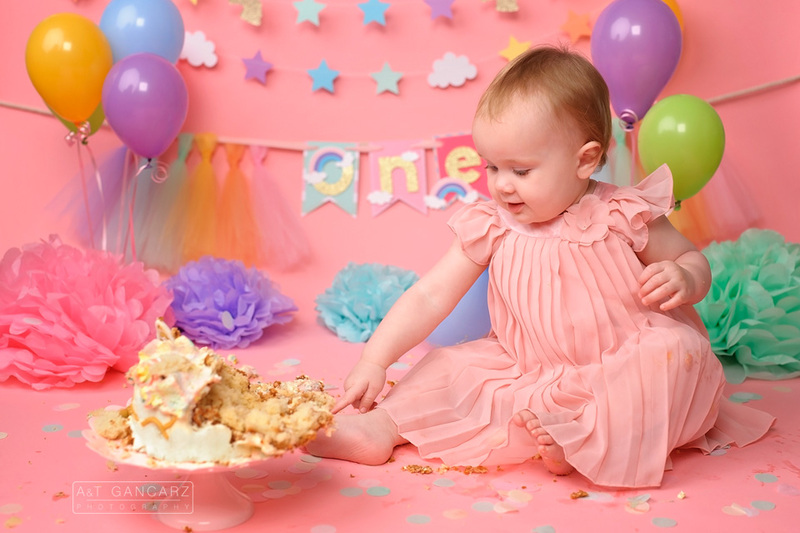 This little sweetie came in for cake smash for her first birthday 🙂 She was so good and so fun to photograph. 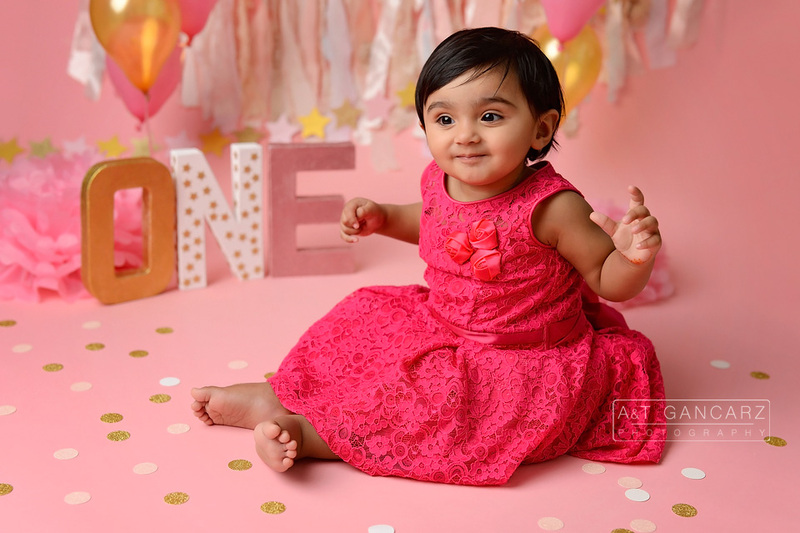 Baby Minnah is an absolutely adorable little girl. 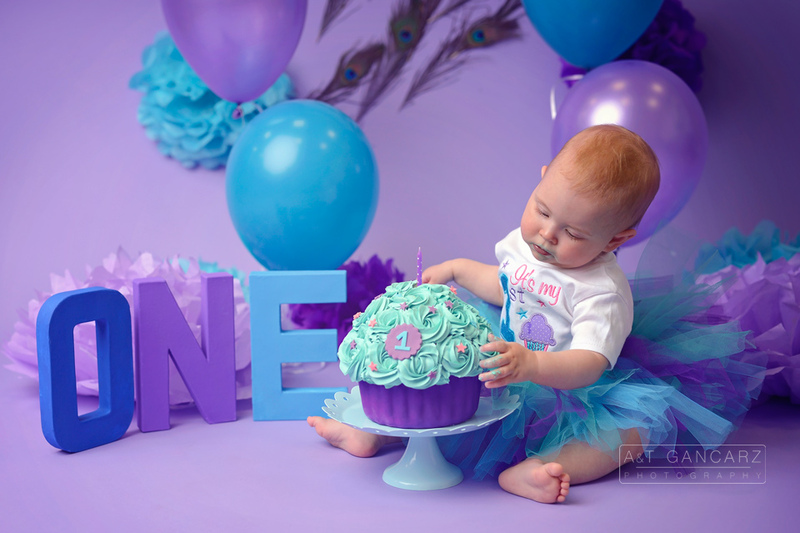 It was a pleasure to meet her family and captured these special memories for them. 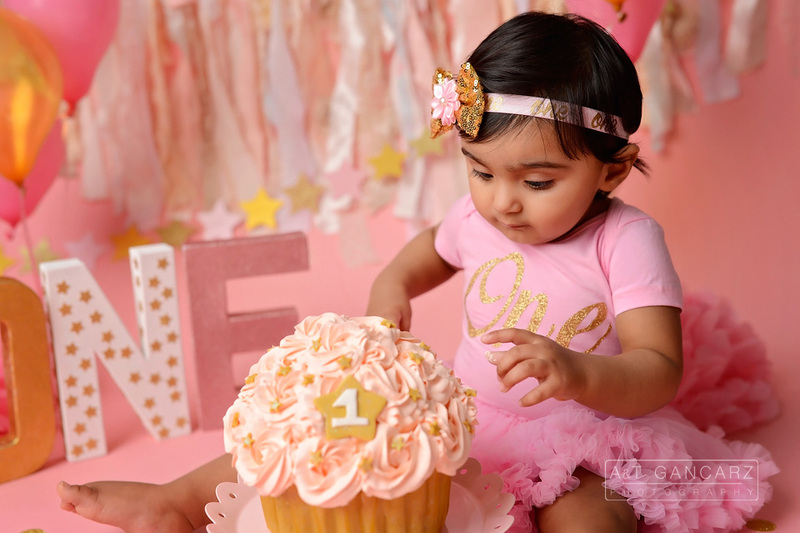 Happy 1st Birthday Little Princess! 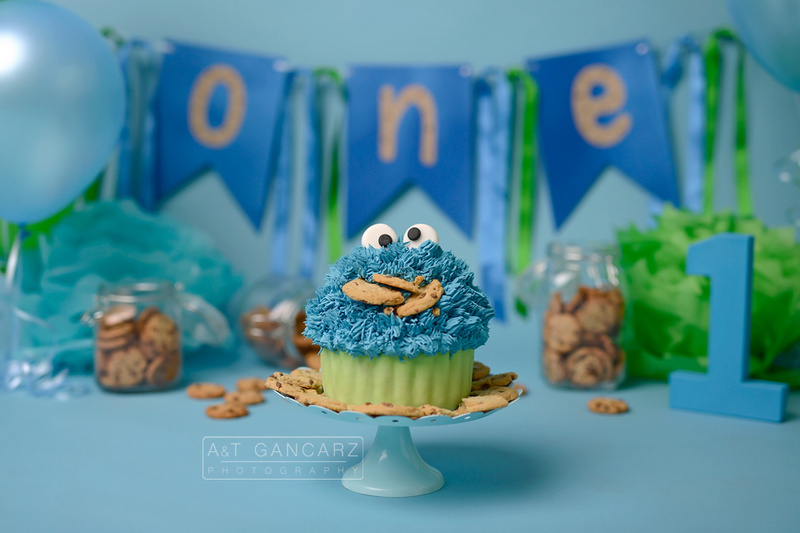 Cookie Monster themed Smash Cake! 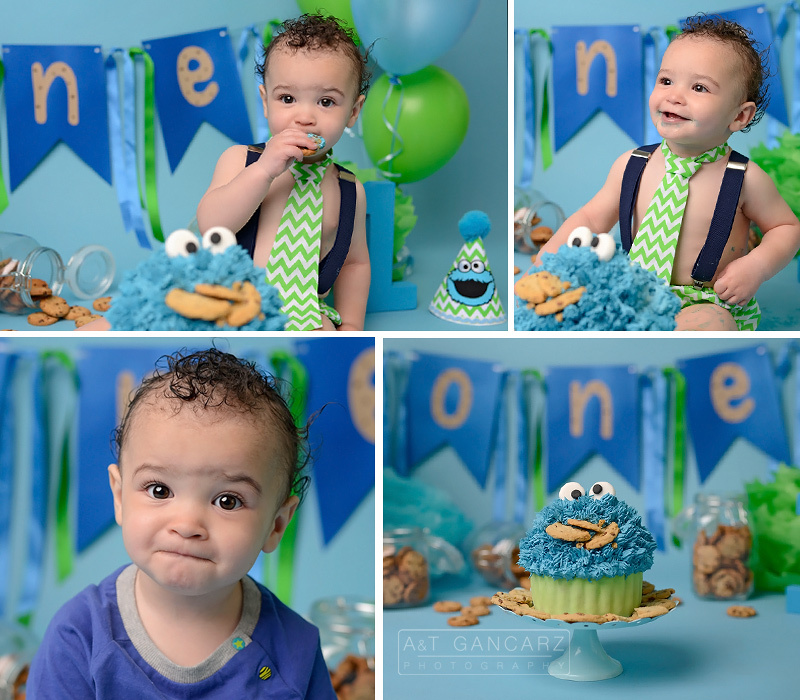 Meet gorgeous Baby Harley who celebrated his 1st birthday with a Cookie Monster themed Smash Cake! 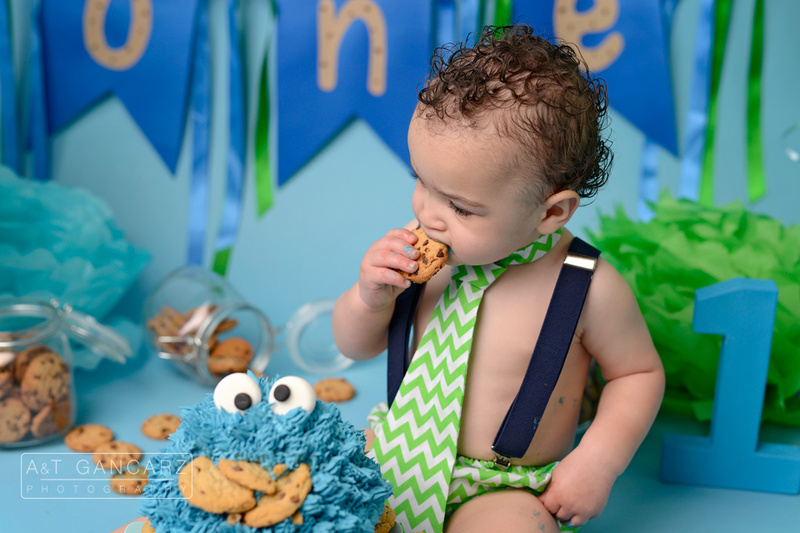 Blue and green, cookie monster and one happy, smiley little man. We really couldn’t ask for more. 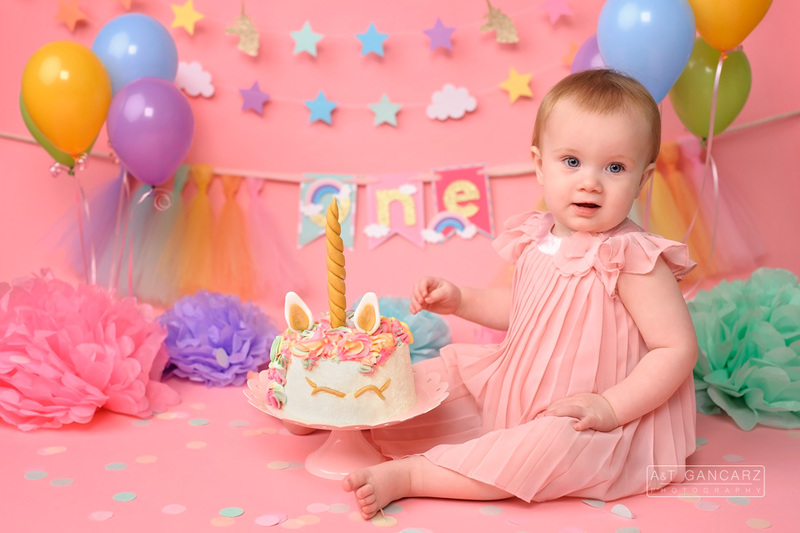 Happy 1st Birthday Harley! 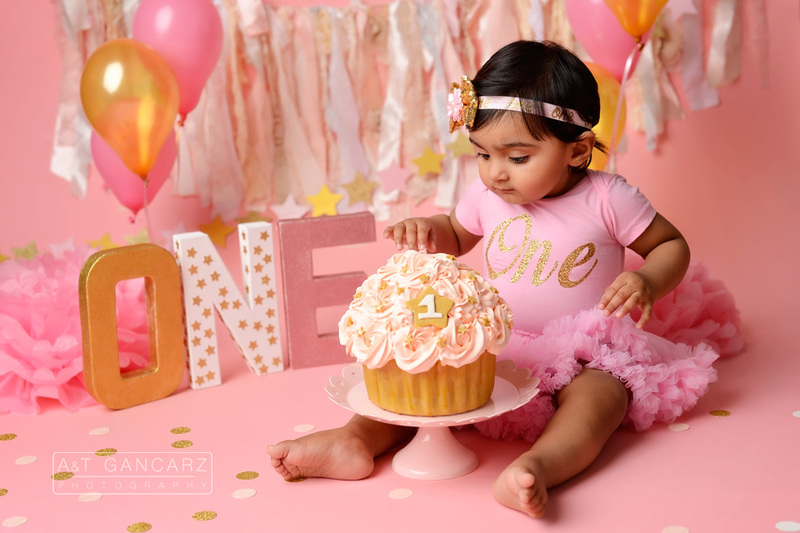 Our first birthday sessions are a fun & unique way to celebrate your child turning one. 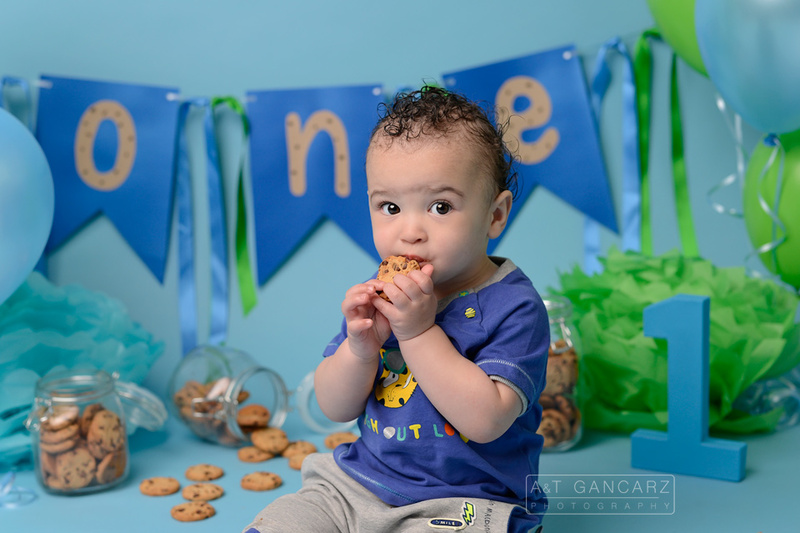 You’ll enjoy a custom set created just for your little one in the studio. 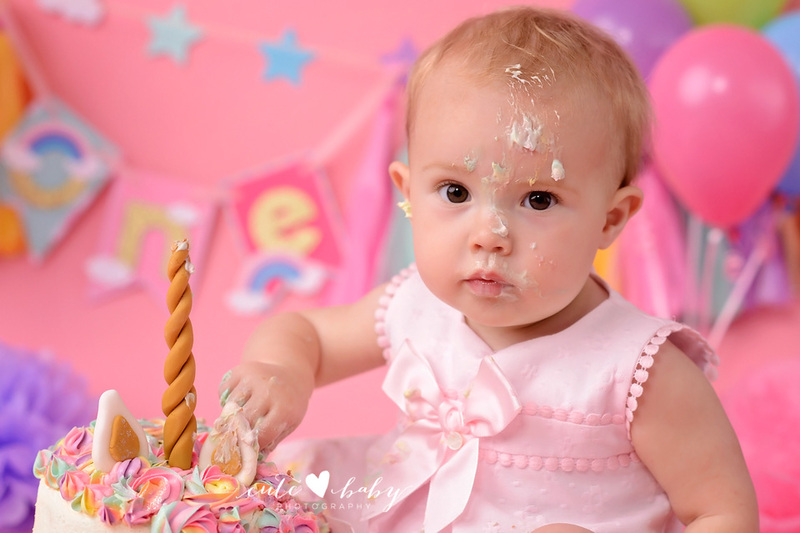 Our cake smash option is one of our most requested set ups and families love planning a creative session with decor & a cake to match a favourite book, party or nursery theme. 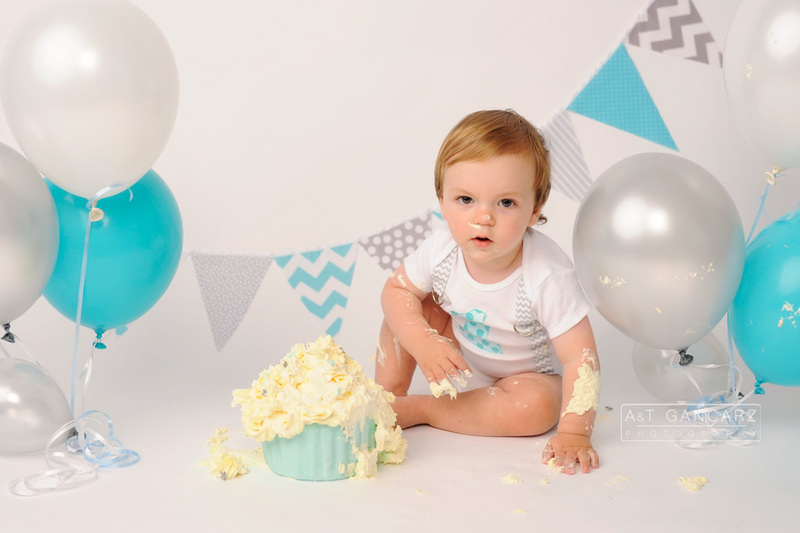 Message us today if we can help you design the perfect cake smash set! 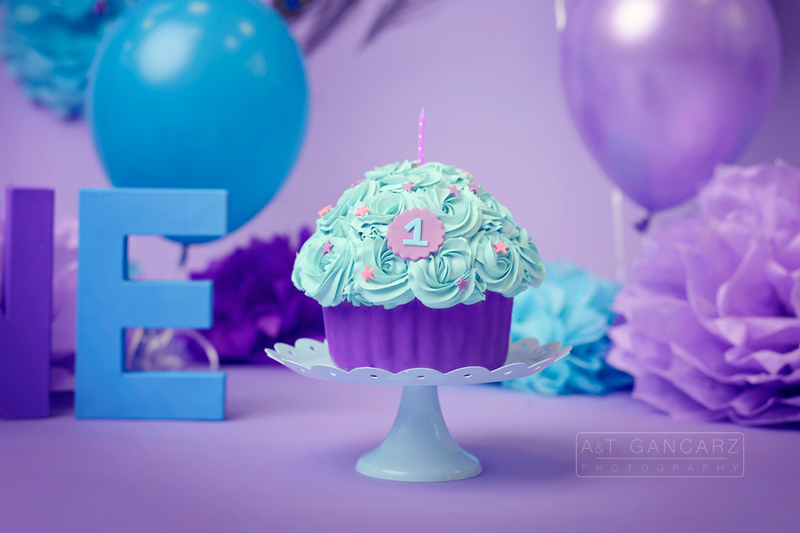 Mermaid Inspired 1 Year Cake Smash! 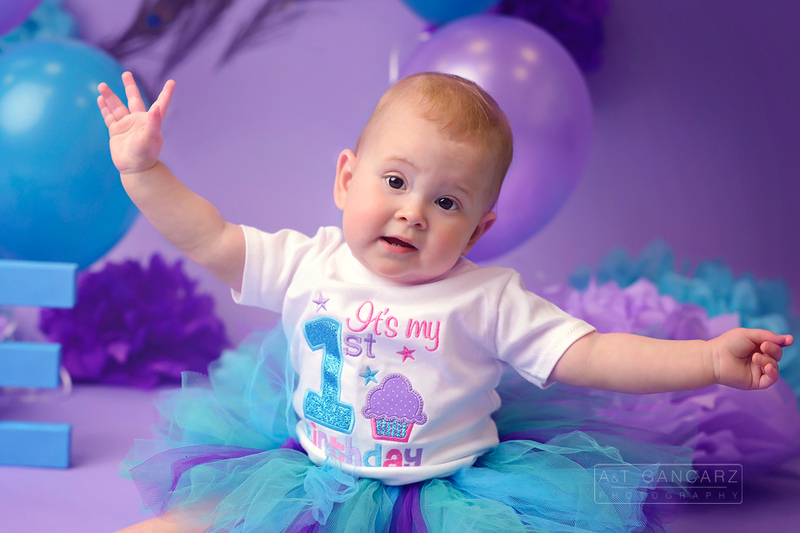 Happy 1st Birthday Amber! 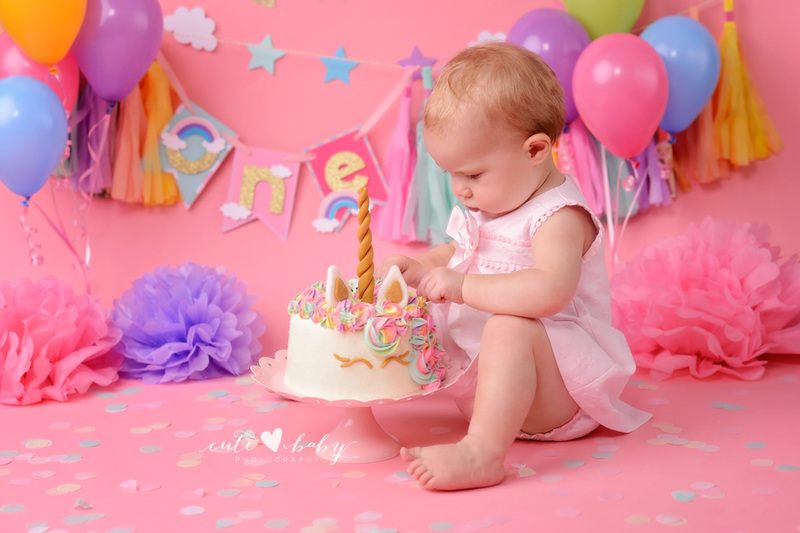 It’s been such a joy to watch Amber grow over the last year! This sweet girl is nothing but joy. 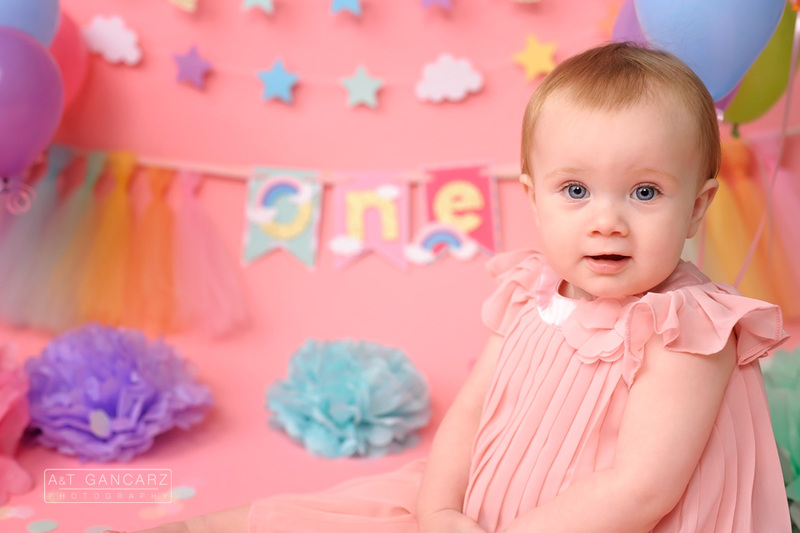 She is a happy baby and is as sweet as can be! 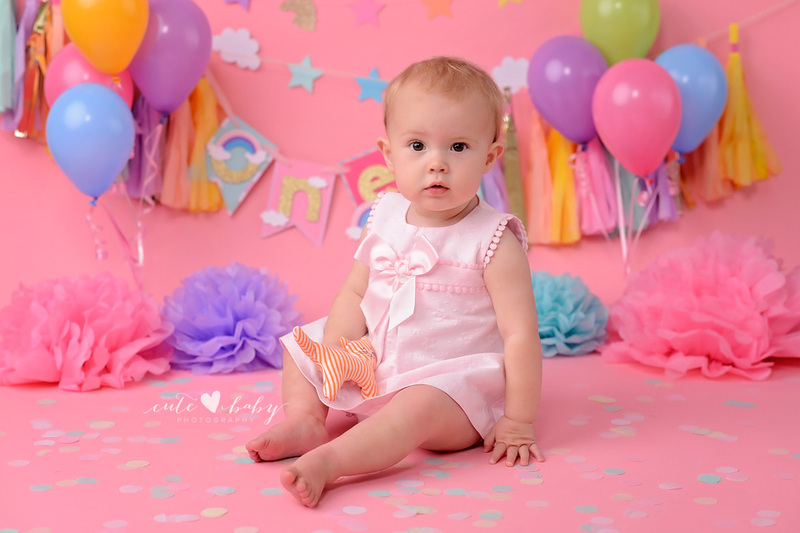 We’ve had the pleasure of photographing her newborn and 6 month portraits. 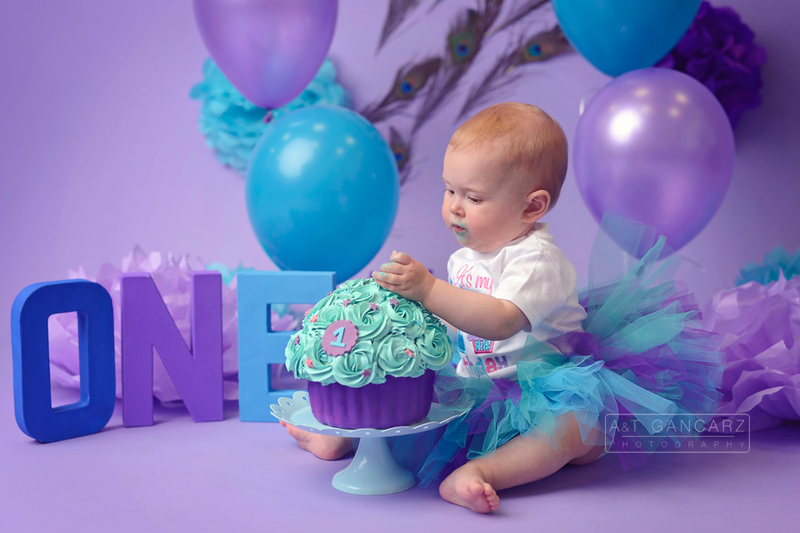 We just love the purple and green combo we have for Amber. 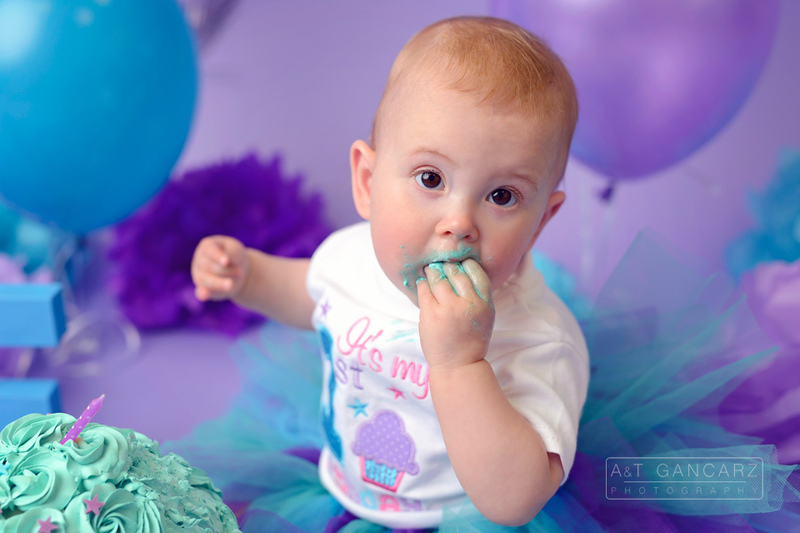 She did such an amazing job at her cake smash! 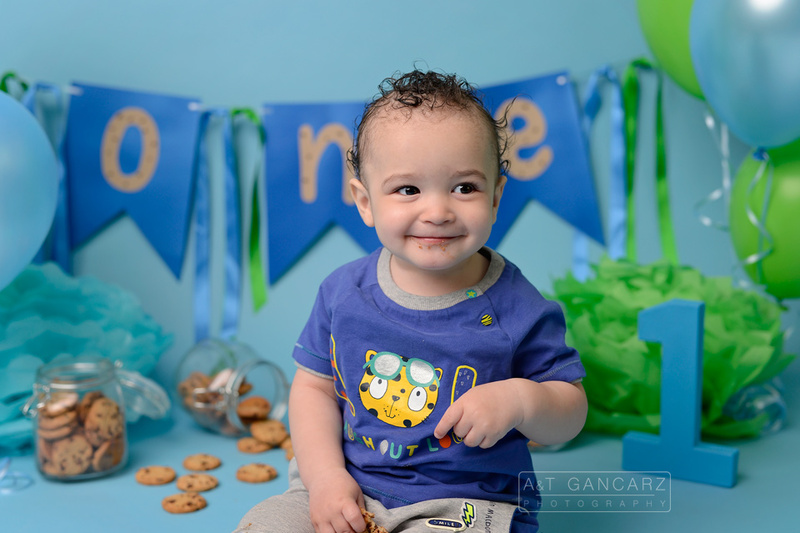 We hope you enjoy the pictures of this cutie! !